Stanislaus State is pleased to present an annual business forecast for the San Joaquin Valley economy. Forecasts, which will be presented yearly with mid-year updates, will provide businesses with detailed information about trends in the region relative to those of the state and the nation. Providing these trends will help minimize uncertainty surrounding these economic indicators and generate market consensus on a regional basis. Businesses, investors and consumers will thus be equipped with detailed information about the San Joaquin Valley economy that will help them make better-informed decisions. 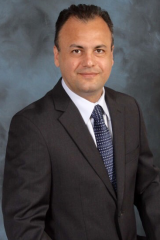 Dr. Gökçe Soydemir joined California State University, Stanislaus as the inaugural Foster Farms Endowed Professor of Business Economics in August 2011. Dr. Soydemir brings strong expertise and experience in business analysis and forecasting and has published extensively on applied econometrics, regional economics, financial forecasting, market analysis and international finance. Dr. Soydemir received his Ph.D. in Economics from Claremont Graduate School, Claremont, CA; an M. Phil. in International Finance from Glasgow University, Scotland, U.K.; and a Bachelor of Science in Economics from Middle East Technical University, Ankara, Turkey. He has several years of central banking experience co-constructing and forecasting large and medium scale macroeconometric models. In addition, he has conducted policy independent research on monetary economics.